Just had to tell a customer with a 3500HD truck that it doesn’t pass inspection because the new tires he put on are not up to the weight class of the truck. They installed the correct size so that was the right way. Problem is that they used standard load when the vehicle required a Light Truck (LT) with Extra Load ply rating from the factory. 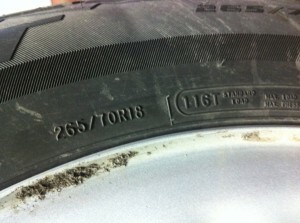 Do yourselves a favor and always check the door jam to get the correct tires for your application. This vehicle uses a plow as well and the stress on the light duty tires is definitely unsafe. 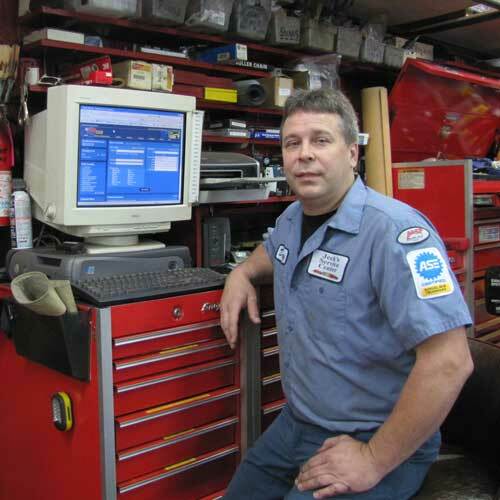 Mechanic’s Corner is brought to you by Denny Aungst of Jeck’s Service Center in Pine Grove, PA. Jeck’s Service Center is a multi-faceted family run business specializing in automotive, light truck and school bus repair. Denny is an ASE Master Certified Auto Technician and enjoys sharing tips on his website and Facebook page make sure to follow along on Facebook and if you are in his area, consider Jeck’s for your next service. Question: Just purchased used BMW 3 series…automatic…diesel…the brakes are consistently squealing upon braking (slowing down from about 20-25mph to 0) dealer said this is usual “brake dust” issue and brakes don’t need to be changed until another 10000 miles…any advise? Noise is embarrassing. Answer: Yes, more than likely the brake squeal you hear is normal. Brake dust and pad design can cause some brakes to squeal more than others. On your next brake pad change, make sure the mechanic cleans everything well and applies an anti-squeal coating to the back of the pads. (see products below) I use this on every brake job I do and rarely have issues with squeal. There are wear pads on most modern brake pads which let you know it’s time to change the brake pads, but that is usually a louder noise. If you think it might be the wear indicators, I would take it to another shop you trust and have them pull the wheels and inspect the pads. Mom & Dad, I want to dip my car! 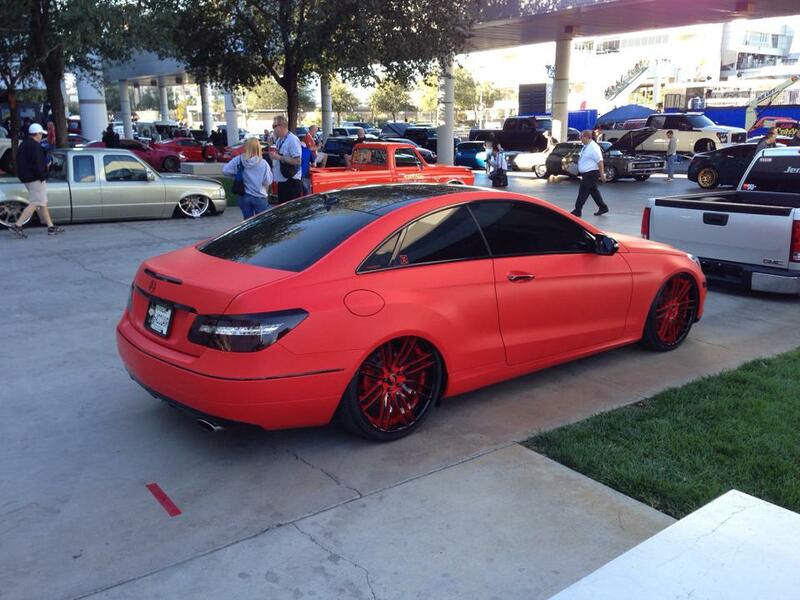 What is dipping your car? “Dipping” refers to coating wheels, body panels, or the entire car in a temporary rubberized coating. 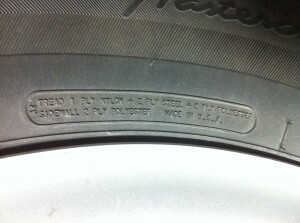 The original product used was Plasti Dip, designed to “DIP” tool handles in a rubberized non-slip coating. Plasti Dip initially came in a handy can and had a thick viscosity to give an extra thick coating to those tool handles. Eventually they offered the product in gallons and aerosols, any some bright person figured out that you can use this stuff on wheels and body panels. Is Plasti Dip safe for your car? It is a “temporary” coating, which will peel off of body panels, glass, rubber moldings and about anything else found on a car. For easy removal, there must be enough coats (4-6) of Plasti Dip on the car. What about the paint underneath? I am not aware of any formal testing of the effects of this coating on the underlying clear coat, but real-world evidence suggests there is no harm to the paint underneath. The only evidence of damage I have seen is the result of too few coats and an overly ambitious teen attempting to remove the Plasti Dip coating with a pressure washer. The damage to the paint was from the high pressure water spray not the rubberized coating over top. This one is a little tougher to answer, just because there are so many reasons. It gives a matte (flat) finish which is very “in” right now. The range of colors available and the additives, clear coatings and effects than can be achieved are awesome. It’s easier and cheaper than repainting a car or a set of wheels. Automotive painting is a tricky business, with tons of prep time and specialized equipment (air compressor, paint guns, mixing equipment etc.). 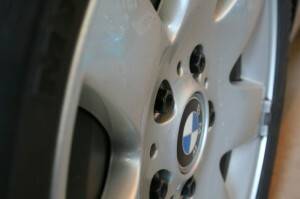 Dipping your car with Plasti Dip can be done in your driveway with a minimum of over spray and completed in a weekend. It’s easily removed so mistakes can be fixed or the desire for a new color can be realized in short time. It’s a hacker mentality! Kids are taking something that was designed for one purpose, and turning it around to serve another. It’s a creative outlet with almost unlimited potential. So should I let my kid dip his car, or mine? 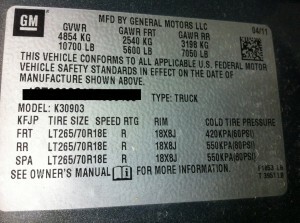 Essential Automotive Websites You Have Probably Never Heard Of. 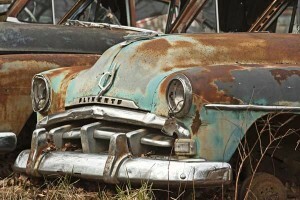 Car-Part.com – Need a part for your car and considering a used part from a junkyard? Don’t spend hours on the phone, go to this website to search online and find the exact part you need at the price you want. NADAGuides.com – We all know the big automotive price guides, Kelley Blue Book and Edmunds, but NADAGuides.com is my favorite pricing guide with the most accurate pricing information. If you are buying or selling, your first stop should be to this website. Jalopnik.com – If you are a car guy, or girl, you know Jalopnik, but for the general public it made this list. If you want to understand the passion that goes in to the automotive enthusiast lifestyle, read Jalopnik. Automotive articles, cool race cars and a good dose of weird automotive stuff will keep you coming back for more. TheTruthAboutCars.com – One of the best resources for new car news! Keep up with the news from your favorite car brand and drool over killer concept vehicles without having to attend a crowded auto show in your area. gas2.org – Get your green on, with Gas2.org. They cover bio-fuel, electric, and alternative energy topics as they relate to cars, trucks and motorcycles. Well written and balanced view of the issues at hand. YouDriveWhat.com – From the people who brought us “People Of Walmart”, YouDriveWhat.com offers a glimpse in to the distorted minds of car owners across the globe. Maybe score some ideas to customize your ride, or just sit back and shake your head! When it comes to the expense of owning a car, maintenance and repairs can rack up a lion’s share of the costs. Who you have doing work on your car or truck can make or break you in the end. Let’s look at the three types of mechanics and where you are likely to get the best service. You bought a new car and it comes with a warranty, so you naturally take it back to the dealer you bought it from for service. Is that the best way? In most cases, yes! The dealership has the most up-to-date repair information, technical service bulletins and direct connection for warranty service issues. But what to do when you are not happy about the level of service you are receiving or the additional charges that are racked up on routine services from your mechanic? First step is to complain to the service manager, then his boss, then move it up to the corporate level. You can also look to find another dealership in your area and try them. If you buy a Honda, there is no reason you have to have it serviced by the same dealership you bought it from, try Joe’s Honda in the next town to get the service you expect. The independent mechanic is going high-tech and many have the same repair information the dealers have, but getting repairs covered under warranty may be a little tougher. But, if you can find an independent mechanic who you trust and has the skills, you will save money over using a dealership for service. Oil changes, brake jobs and even minor engine work can often be done for way less money that the dealership charges. One thing to consider if your car is under warranty; Save all receipts for proof that preventative maintenance was done at factory intervals. This record keeping is essential when it comes to getting warranty claims paid. It’s also the reason why I recommend dealership service first provide you are happy with their service and pricing. When your service is done at a dealership where the warranty is also held, then the record keeping is handled by the dealer and no worries for you. 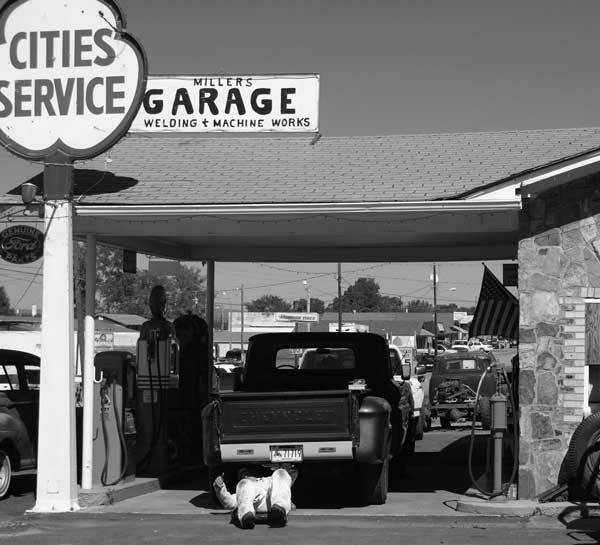 I see these shops as a last ditch option, when emergency service has to be done, or if you know the owner or mechanic and can trust them to do minor service like oil changes or tire rotation. The price may be right, but the end result may leave you paying in the end.